Flower decorate this adorable model for kids. Super nice UV protective sunglasses for kids. (12pcs.) 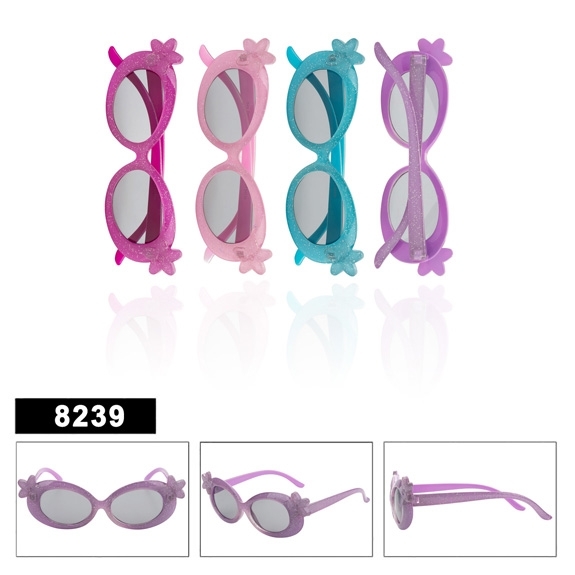 Kids Sunglasses-8238 (12pcs.) Kids Sunglasses-8237 (12pcs.) Kids Retro Sunglasses-8246 (12pcs.) Kids Sample Pack-SPK1.